NYSPA is very pleased to report that late last week Governor Cuomo signed into law legislation that prohibits licensed mental health professionals from engaging in efforts to change a minor’s sexual orientation (so-called “conversion therapy”) and defines such efforts as professional misconduct (A.576, Glick/S.1046, Hoylman). The bill signing took place on Friday, January 25, 2019 in New York City and was attended by NYSPA members Frank Dowling, M.D., Jack Drescher, M.D., and Barry Perlman, M.D. and Jamie Papapetros from the NYSPA Government Relations office. So-called conversion therapy has been shown to have long-term detrimental consequences, such as increased risk of depression, suicidal ideation, substance use, social withdrawal, and self-loathing. 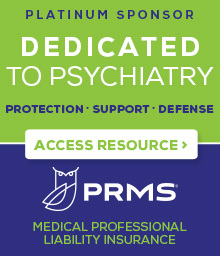 The success of this landmark legislation represents a collaborative effort as NYSPA partnered with MSSNY, the NYS Psychological Association, the National Association of Social Workers – New York State and New York City, the New York Society for Clinical Social Work, LGBTQ advocacy organizations, medical specialty societies and a broad array of MH/SUD consumer and provider organizations. The Governor’s press release and a video of the bill signing are available at: https://www.governor.ny.gov/news/governor-cuomo-signs-landmark-legislation-protecting-lgbtq-rights. sponsor of law to prohibit so-called “conversion therapy” for minors, Jack Drescher, M.D. and Barry Perlman, M.D. Chair of Senate Mental Health & Developmental Disabilities Committee, Frank Dowling, M.D., and Jamie Papapetros. Jack Drescher, M.D. and Frank Dowling, M.D. Born Perfect who endured five years of so-called “conversion therapy,” Frank Dowling, M.D., and Jamie Papapetros. (Chapter 7 of the Laws of 2019) and GENDA (Chapter 8 of the Laws of 2019). and Senator Brad Hoylman (D-Manhattan).